Hans Bethe was a German-born American theoretical physicist who is credited as one of the founders of quantum physics. His scientific research helped understand the atomic processes responsible for the properties of matter and of the forces regulating the structures of atomic nuclei. He played a substantial role in the development of the first atomic bomb during World War II, and later, in the early 1950s, the larger hydrogen bomb. 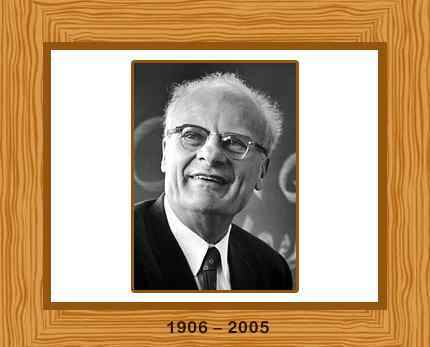 Born in Strasbourg, Germany on 2 July in 1906, Hans Bethe was a child prodigy in mathematics. He acquired a degree in physics from JWG University, Frankfurt, and earned his doctorate from the University of Munich. Later, he also worked in Cambridge, England and Enrico Fermi’s laboratory in Rome, Italy. In 1939, Hans Bethe married Rose Ewald, the daughter of his university professor Paul Peter Ewald. Hans Bethe accepted J. Robert Oppenheimer’s invitation to become a part of the Manhattan Project, performing as director of the theoretical physics division. His wife had, however, strict reservations about Bethe’s job. His role was to define how the atomic bomb would function and what effects it would produce. Utilizing his vast knowledge of nuclear physics, electromagnetic theory and shock waves, Bethe collaborated with Richard Feynman to work out a formula to calculate the efficiency of a nuclear weapon. He also made decisive contributions to the feasibility and design of the uranium and the plutonium atomic bombs. Later, Bethe worked extensively on the investigation of the feasibility of producing fusion bombs and helped design the hydrogen bomb in the early 1950s. After the war, he preached and actively campaigned for disarmament. He won the Nobel Prize for Physics in 1967 for his research regarding the production of energy in stars. Hans Bethe became a prominent political activist in his later life, while he was still actively involved in his scientific researches. Bethe died of congestive heart failure on March 6, 2005. He was 98 years old.